When we mention the word "taste," we normally think about recognizing or trying a new flavor with our tongues. But, there is another definition that is our main focus today - the definition that is used in Psalm 34:8. So, if we look at this verse with those definitions in mind, we notice the writer of this psalm (David) is telling us to become acquainted with the Lord, to become aware of His presence in our lives, and to experience His goodness. In other words, when we are in fellowship with the Lord (i.e. talking to Him daily about our circumstances, seeking His guidance and direction by reading His Word, and allowing our faith in Him to comfort us and help us through the difficult days), we will begin to recognize His goodness, and we will be blessed when we focus on the abundant love He has for us. 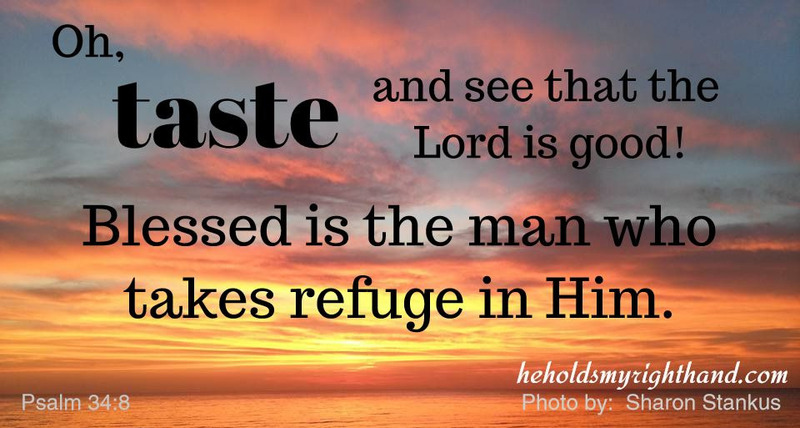 Be blessed today, as you "taste and see that the Lord is good."